As organizations grow and evolve, so too must their technology. Keeping up with the best IT not only allows companies to stay competitive and provide customers with stellar service – but also helps employees do their jobs more efficiently, saving time and money. One Canadian organization that knows this well is Dowler-Karn Limited, a family business which has a history steeped in customer service. Celebrating its 75th anniversary this year, Dowler-Karn is an industry leader in energy product distribution — including fuels, propane and lubricants — with more than 14,000 residential, commercial, industrial and agricultural customers across Southwestern Ontario. The organization prides itself on listening to customers’ needs while implementing premium service with quality products. It’s those values that, in part, prompted the company to investigate technology it could adopt to increase efficiencies, improve its customer service and simplify the day-to-day tasks of office employees and delivery drivers. With eight branch offices and multiple fuel centres across its service network, Dowler-Karn recognized there were many inefficiencies in the way it serviced its customer base. Kevin Lindsay, the company’s IT manager, knew the first step was getting back-end technology in place to support both current and future business needs. Over his five years at the company, he slowly updated the existing infrastructure with a focus on networking to support the business more effectively. In fact, Dowler-Karn had specific plans in mind that would require extensive support by the data centre: the digital transformation of its delivery fleet and processes. In the company’s 75-year history, processes and methods of business have consistently changed. 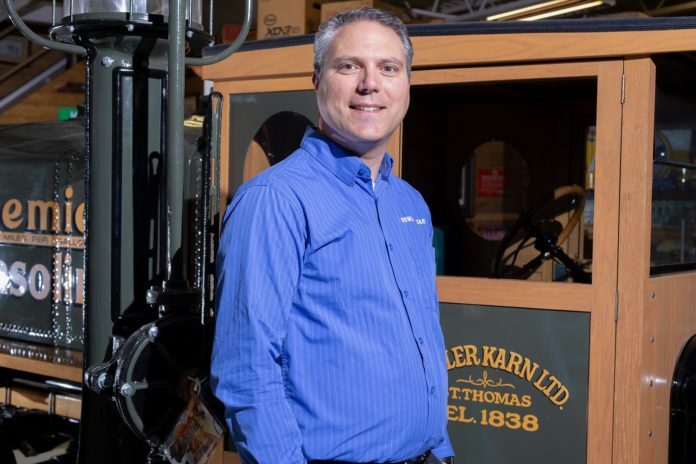 From making deliveries in a horse-drawn wagon to the current fleet of 70 trucks, the business has adapted. However, it was still very much reliant on paperwork, and as a result, employees in the office and on the road were spending more time than necessary on day-to-day tasks. “We were easily 60 percent paper based, even still using a typewriter weekly for some tasks,” notes Lindsay. Before the organization made the move to digital, if a customer called their branch office to ask for a delivery, carbon copy paperwork (called a ticket) would have to be generated for that delivery, and then that ticket would have to be physically handed over to a delivery driver. It would then be up to the driver who was given the delivery ticket to figure out how to best incorporate this new delivery into their stack of existing or scheduled tickets for the day or week. As the driver completed deliveries throughout the day, each individual customer delivery ticket would be stamped by metering equipment installed on the truck to create a record of the date and litres of fuel delivered. These completed/stamped tickets would then be separated into two pages; one page would be left with the customer as proof of delivery, the second page would be bundled with the rest of the driver’s completed tickets for the day and then handed into the branch at the end of the shift. All of these completed tickets for each driver (assuming none were lost or mishandled) would be manually processed by the branch office staff to reconcile the trucks’ inventory pickups against the deliveries made, and then finally entered into a computer program in order to generate an accounts receivable invoice for the customer. As it looked to digitize, Dowler-Karn relied on CDW Canada, its IT partner, to provide ideas and recommendations for equipment that would make sense given future requirements. Dowler-Karn began by updating its branch offices with Cisco Meraki cloud-controlled firewalls and wireless access points for security. Once these were deployed and tested, back end data centre elements from Scale Computing and Mellanox Technologies were purchased and brought online. CDW Canada collaborated directly with the vendors, allowing for a seamless integration and one point of contact for Lindsay and his team during the deployments and testing phases. While getting the back-end software up to speed, Dowler-Karn looked into various software solutions to digitize its 8 branches and 70 trucks over the course of about three years, narrowing its search down to an offering that was focused on its industry and would allow a more seamless process for everyone across the organization – as well as its customers. Once the software was selected, Lindsay worked very closely with CDW Canada to look at the best options for hardware and other accessories that would be needed to equip the fleet. The company selected Surface Pro LTEs to be installed in all the delivery vehicles, as well as truck mounts, docking stations and receipt printers from CDW’s list of vendors. In use since summer 2018, this new solution provides each driver with a completely digital environment, with a view of deliveries both waiting and completed, as well as route navigation, all on their docked tablets inside the truck. Beyond the obvious benefit of reducing paperwork, the company has seen other advantages. With the new system, the company can make more sense of how the business runs and eliminate those types of situations. For example, as tickets are created throughout the day, a particular driver’s ticket list can be easily managed digitally, so that new customer tickets are immediately routed to a driver in that particular geographic area. They can also easily redistribute the volume of deliveries required in a given day across multiple drivers (and branches) in the event of reduced productivity due to bad weather or equipment breakdowns. All of this to make sure Dowler-Karn can become more efficient, while empowering its staff to maintain the level of customer service that has made Dowler-Karn so successful over all these years. As they move forward with the new technologies in place, Lindsay notes there is still a learning curve on the IT side. 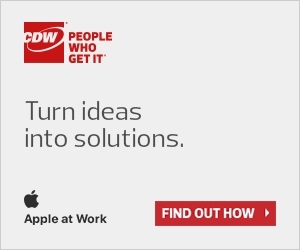 However, the relationship with CDW Canada has been very valuable on that front.